So why choose us? 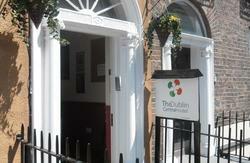 Wouldn't you like to stay in one of Dublin's only purpose-built tourist hostels? Jacobs Inn is a funky, comfortable hostel with a wide range of accommodation options for the individual backpacker, families and groups of all sizes. All of our guests can enjoy ensuite showers and toilets, two large common areas and the best self-catering kitchen of any Dublin hostel. 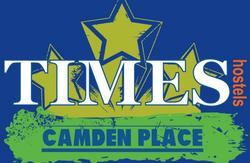 You can avail of accommodation in single, twin, double, triple, four-bed and multi-bed rooms. 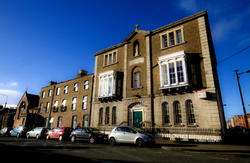 The dorms are among the largest and most spacious in Dublin. You can book private rooms for one, two, three, or four people in rooms which are all furnished to a very high standard with flat screen televisions, safes and hotel-standard bathrooms with shower ensuite. Weve got tons of freebies for you as well, with free Wi-Fi, free use of Skype headsets and luggage scales, free guided walking tours and free events such as Irish Dance Nights, live music, big-screen movies and more. Theres also laundry facilities. 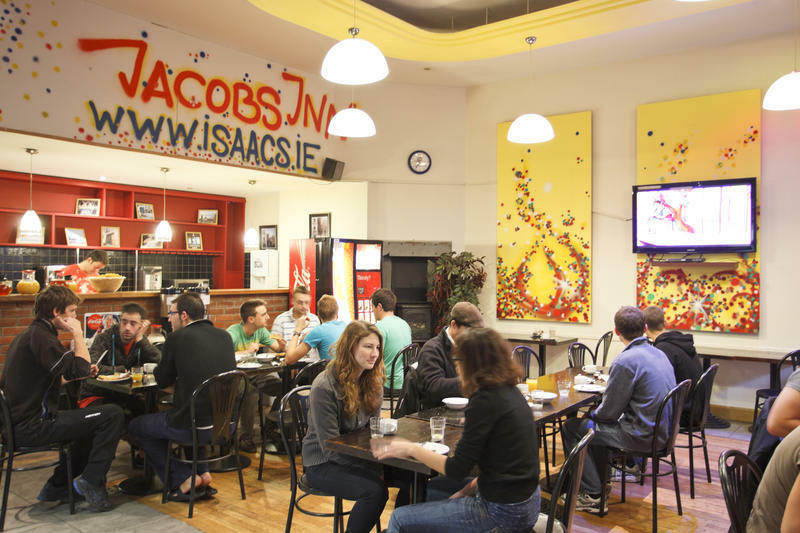 In our common areas you can enjoy our pool table, PlayStation, board games and DVDs, while around the corner is Isaacs Beer Garden, with the cheapest pints in Dublin! Wouldn't you like to stay in the best city centre location? Of course you would...well, Jacobs Inn couldn't have a better location to explore the city. Outside is the direct bus from Dublin Airport - take the 747 bus and get here from airport in only 25 minutes! We're also opposite Busaras, the central bus station. It's only 50m from here to Connolly train station and 20m to the LUAS, while O'Connell St is just 500m away. It's an easy walk to the O2 and Croke Park and only three DART stops to the Aviva Stadium. All tourist attractions, restaurants, bars and shops (including Trinity College and Temple Bar) are but a short stroll away. You can chat to our friendly staff and get their advice on how best to enjoy our beautiful city. They can even sell you tickets for the best tours in the city! Please note that families travelling with children under the age of 16 are required to book private rooms. Take the Airlink bus to the Central bus station (Busaras). Jacobs Inn is on Talbot Place, across the road from the bus station. Take the bus to Busaras and Jacobs Inn is across the road. Take the DART train into Connolly station. Cross Amiens Street onto Talbot Street and take the first turn to the left into Talbot Place. Jacobs Inn is on the right side.